Thanks S36 Owl It sure is. They gave their all. Everything in some cases. Hello, TaxiMark. 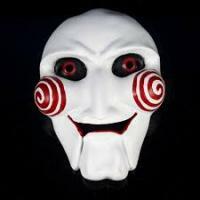 I want to play a game. Up until now, you have spent your life picking up fares and dropping them off at various points in South Yorkshire, Their day depended on your driving and time keeping. You're good at this because, you, like them, also depend on these skills.Like most Taxi drivers you are a terrible driver. Cutting corners, speeding , not using your mirrors and in general being a hazard to all road users. You identify more with a racing driver than you do with a purveyor of safe driving. The device you're wearing is hooked up to your right foot. By the time this tape is finished, you will have one minute to get from Hillsborough to Ecco (via shiregreen please). At the end of that minute... You will either go to taxi heaven (Dore and Totley) or taxi hell (the rough part of town) you know better than anyone, what happens then. There are two routes that will help you make this journey on time. Taxi do you know the best route? It is right in front of you. Herries road or Penistone road? All you have to do is choose. But do it quickly. Make your choice. Thereâ€™s a season ticket next to the band if you fail. Hello dhnc, Are you the bands PR guy ? Are you on Hemminghams payroll ? Do you do the same band support roll on the Rhinos site?